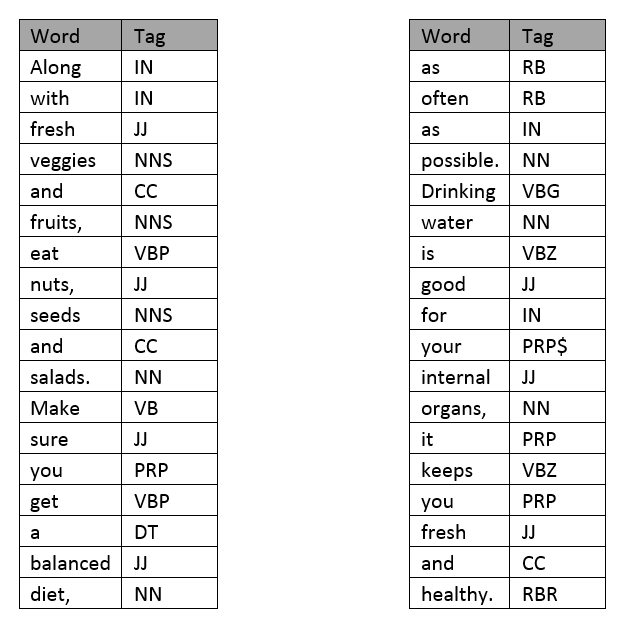 Introduction: Part-of-speech tagging is the process of marking up a word in a text (corpus) as corresponding to a particular part of speech such as noun, verb, adjective, etc., based on its definition, as well as its context – i.e. 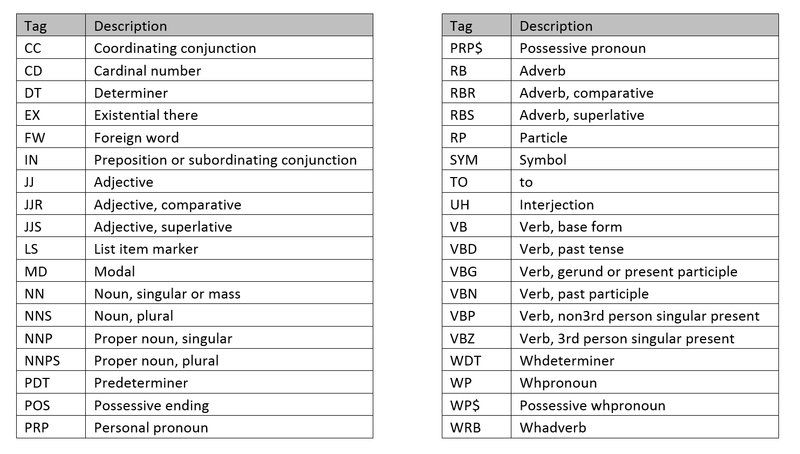 relationship with adjacent and related words in a phrase, sentence, or paragraph. 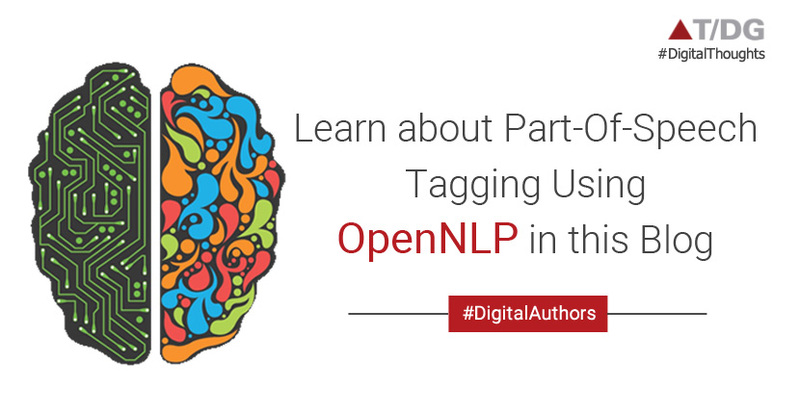 We will use POS tagging and sentence detection model files. Along with fresh veggies and fruits, eat nuts, seeds and salads. Make sure you get a balanced diet, as often as possible. Drinking water is good for your internal organs, it keeps you fresh and healthy. Take a paragraph as input and returns array of sentence. Along with fresh veggies and fruits, eat nuts, seeds and salads. Drinking water is good for your internal organs, it keeps you fresh and healthy.